Two Catalonias; records the north-eastern Spanish regions split between wanting independence from the Spanish government and the rest who wish to stay as they are. The rift grows and grows over the course of year until finally the Spanish seat of power forces two options on the politicians of Catalonia. They can either accept Article 155 that means the region comes under government control or allow elections to take place and let all Spaniards decide. A few interviewees say what took place in Catalonia did not have to if all parties did the tough work to the resolve the tough issues. Instead the political “band aids” or temporary fixes came back to bite the politicians and the citizens of their country too. By the end of this film the people of Spain get the last word and not all the political members of each party get the chance to try to repair the country from this turmoil. 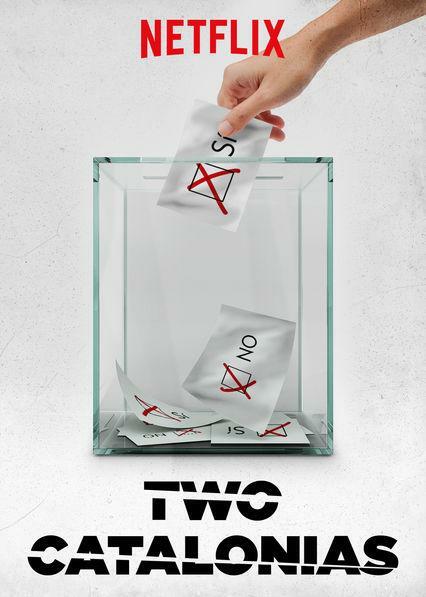 Two Catalonias I think is a film that offers a neutral peak at what took place in Spain. However, at one point the film makers try to mesh each parties messages and try to make them seem similar instead it comes off confusing. Nevertheless I still think it is worth watching given other countries face similar climates today.